I Never Expected To Become A Conscientious Objector - World Beyond War . . . If you would have asked me two years ago to name the first things that came to mind when I heard this title, it would have been words like coward, afraid, selfish, ignorant, and unpatriotic. I guess it’s how growing up tends to work. Now I see that these words couldn’t be farther from the truth. This is my story, but it’s also the story of hundreds who have come before me, only some of them known. It’s the story of every unnamed fearless lover of peace who, never needed to don the uniform to realize that violence can never be a realistic solution to any conflict. For those wise enough to understand that war has so little to do with solutions, and so much to do with ego-centricism, manipulation, wealth and power. I now realize that those people I was so quick to dismiss as idealistic and weak, are in fact the meek that might just inherit the earth. My journey started with an idea, one wrapped in youthful ideas to succeed, project my own self-important image to the world, to be a warrior, to be brave and validated. This personal image became an obsession. I wanted validation, and wanted to go all the way. I worked out that I wanted to follow my father and grandfather in military service, that I wanted to be an officer in the Army like them but I wanted my own challenge too, a notch that only I would have under my belt. My father received his commission through the University of Texas, and my grandfather went through Officer Candidate School on the heels of a prestigious enlisted career. I was going to make it through West Point. So I set my sights on an appointment. I did everything in my power to make this dream a reality. 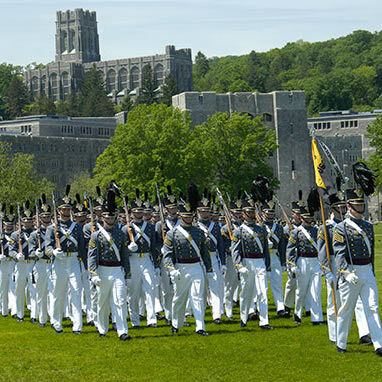 I even attended a prep school (known as USMAPS) located up the road from West Point’s main campus when I was initially denied entrance into the class of 2015. A year later I was accepted into 2016 and I felt as if my life was complete. For the first time in a long time, my freshman year was a period of not having any dreams or ambitions to achieve. Arriving at West Point was what I had so long ached for that I thought of little else. In this newfound state in which I wasn’t constantly strategizing and working to get somewhere, there was an inner quietness I had never before known. I had time for personal reflection, challenge, and independent thinking. I was also introduced to a spiritual practice of contemplation which enhanced my capacity for challenging and thinking anew. I started having very visceral aversions to my environment. First, it was the standardization and control of an institution like West Point. Not the usual sort of frustration with “plebe year” as it’s known, but a developing deep moral aversion to what we were doing and how we were doing it. Then, I started feeling uncomfortable about the type of people we were training so hard to become; detached, amoral, apolitical, unaffected executors of violence and various state sponsored acts of aggression. Then I saw the effect the lifestyle was taking on the Captains and Colonels that came back to teach. It became abundantly clear that if I did not get out quick I too would slip into disconnection, numbness, brokenness, and finally (the worst stage) acceptance. I sat in the living rooms of too many men and women who had already walked my path and opened up about an inability to connect or feel love for their children. One instructor joking that if he did not schedule time for his children in his iPhone calendar he wouldn’t remember to play with them. I nervously chuckled remembering this story with another group of officers at a church event assuming of course they would also feel unconformable about such numbness to life. To my surprise, they confessed a similar style of maintaining their family life. I’m not saying they’re bad people, I’m saying this life did something to all of us, and I wasn’t sure it was healthy or helpful to the rest of society. So I was then faced to asked, is this worth it? 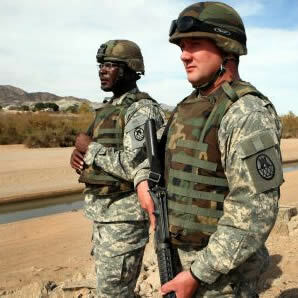 Not only for me, but what about the people that my occupation is to effect, those who are “over there” and those who are to receive the blows of my future aggressive acts in combat. This question took the spotlight off of my own future and my own well-being and shined it brightly onto others, specifically the people I was being trained to kill. Even more specifically, the innocent people caught in the middle chalked up to “collateral damage.” Of course no one wanted collateral damage, though this was often viewed from a strategic perspective without attaching the notion to human life. It was more like a margin of error that we were taught to stay within. If you went too far outside that margin (i.e. too many civilians died as a result of your decisions) the consequence would be jail time. Around this time I was getting into my major—philosophy—in which these why questions were much more relevant. I learned how to ask really good questions, I learned how to listen to voices I had always disdained, I learned to open my mind and consider more than just what I had always known. I allowed myself to be challenged, and I challenged that which didn’t make sense. It’s funny, no one ever thinks they’re the bad guy. As I approached my senior year it is clear now that I had become a master of suppression, distraction, self-denial, and also depression. On my honest days I realized that I too was well on my way to being a distant, disengaged father and husband one day. On my worst days I lied and said it would all get better when I was out there, maybe the active Army was better I naively told myself. Of course, it didn’t get better. And I was slotted my last branch choice of Field Artillery—one of the most lethal branches possible. As I went through my initial officer’s training the reality of violence became more palpable. I was killing scores of people daily in simulations. We watched videos of unarmed “convicted terrorists” being eviscerated as they sat unsuspecting in a circle. One managed to hobble away having lost a leg in the blast. Boom! Another round and the man disappeared. But the Army owned me. I had an eight year contract and they paid for my school. One day a friend invited me to watch the movie Hacksaw Ridge, the famous story of a conscientious objector during WWII. I spent the film judging him, combating his idealism with my well-worn theological and logical arguments why sometimes sheepdogs were necessary, why war is justified. I’ve met Micheal Walzer for crying out loud, the man who penned the modern accumulation of everything Just War. But, on some unconscious deep level in my psyche, the film worked on me. Suddenly, in the middle of the movie I became extremely ill on the verge of vomiting. I ran to the restroom to take care of myself but instead of throwing up, I started weeping. I was caught off guard as if I had been a casual observer to my behavior. I had no idea the reserves of emotion and belief that were locked inside my subconscious after years of learned repression. Once it came up, though, there was no turning back. So I set to doing something, anything to get out of the endless cycle of death, destruction, and killing. I knew I had to leave, and life would never be the same. I began studying, learning who I was, what this up-to-now subconscious belief was all about. I began complete deconstruction. I completely changed who I was reading, what I was thinking, the way I filtered the world. Everything I once held so sacred, taken off the shelf and shattered on the floor. Peace became a reality that had long been hidden just beneath the surface of every seemingly unavoidable war. Meekness, open hearts, care-taking, refugee-welcoming and freedom for the marginalized became my greatest moral imperatives. Where once stood pillars of self-righteous behavior, now stood collapsed rubble. And if you looked hard enough, you might see the weeds and grass of new life poking through. After two years of petitioning, waiting, and making myself show up for work everyday, I was finally discharged honorably as a conscientious objector in August of this year. I now work for the Preemptive Love Coalition. We are a peacemaking organization that joins reconstruction efforts to weave the elements of peace into the fabric of renewing societies. Our message is to show up, listen, and get out of the way. We love first, ask questions later and aren’t afraid of venturing behind the so called enemy lines. Most of our work is focused in Iraq and Syria at the moment, and I work on the stateside support team. I am beyond lucky to have found an organization in which I fit so perfectly, and am even more grateful to wake up every day waging peace—especially in the regions where I had been training to wage war! My goal has never been to change anyone’s thinking or get others to agree with me. Rather, I hope that in sharing my story the veterans of pacifism are encouraged, those waging peace everyday are emboldened, and those wondering who they are on the cusp of new birth could have a companion on an otherwise lonely, frightening journey. I admire your efforts. May many of the troops struggling with their consciences find support from your organization. I know it isn’t easy but they will have no regrets choosing right over wrong. It won’t be easy but better a clear conscience than regrets. I am a retired nurse from the Veterans Administration I worked for 24 years in a PTSD program, a program I helped develop as a member of a team..a team that basically worked from scratch. Your story reminds me of so many of those we worked with….struggling to remember who they were. I am crying now….and I have been retired over ten years….but your words bring it back and the constant rumble of warmaking and “Hero” proclaiming going on makes it impossible to get very far away. I am thankful for World Beyond War. I am thankful for the compassion you gave yourself.